It certainly wouldn’t be comic con without a bunch of Star Wars characters. This year it seemed to be mostly different varieties of troopers. Some from the old series and some from the new. I mean the old series being the newer series. Sorry we’ve just fallen into some sort of George Lucas paradox. Let’s not even mention the new new trilogy. Well if you’re a steampunk fan don’t feel too bad. There’s nothing that can really beat Star Wars so this was inevitable. It was fun seeing all the people that wanted this photo op. If only there was someone with a Jar Jar costume! 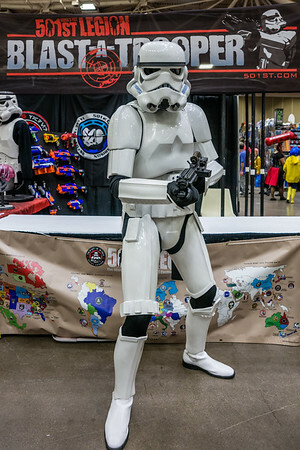 Here’s your classic storm trooper pose. Well done! It’s not often you see Padme in a Delorean ready to go back in time. I guess if she was to drive a car it would be the Delorean as it does bare a resemblance to her starship. See, we learn a lot at Comic Con! Check out all the Comic Con galleries. It’s that time of year again for Minneapolis to geek out. Yes, it’s none other than Wizard World Comic Con. 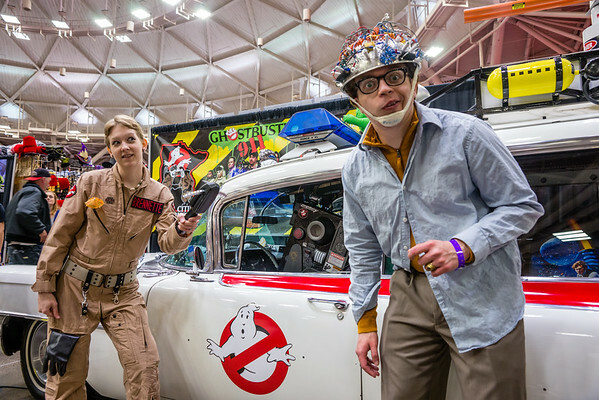 May 1st through 3rd comic book, movie and pop culture fans descended on the Minneapolis Convention Center. There was plenty to see from celebrities, booths selling various wares and of course the costumes. 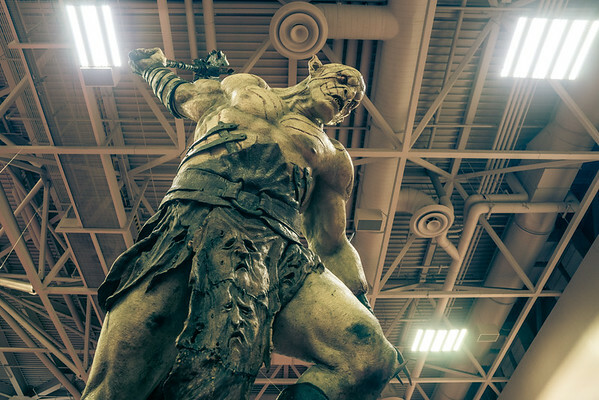 The Wizard World Comic Con Minneapolis 2015 Galleries. This will be a four part series looking at the best of the event. 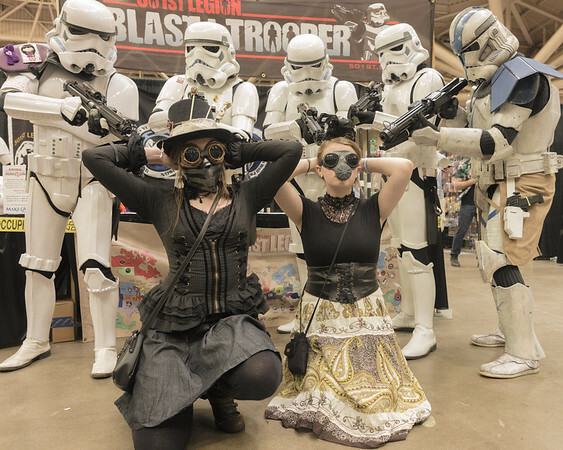 We’ll start with a general look and then take a closer look at the cosplayers including the ever present Star Wars costumes, heroes and dudes and last but not least the girls of Comic Con. A very cool statue from the Weta Workshop. 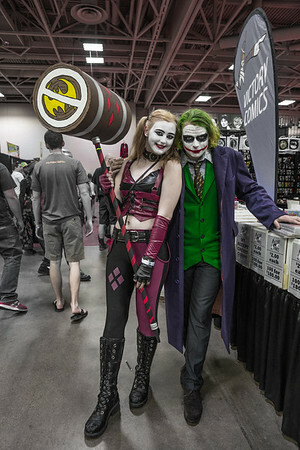 Many people coordinate their costumes with one of the most popular being Harley Quinn and the Joker. 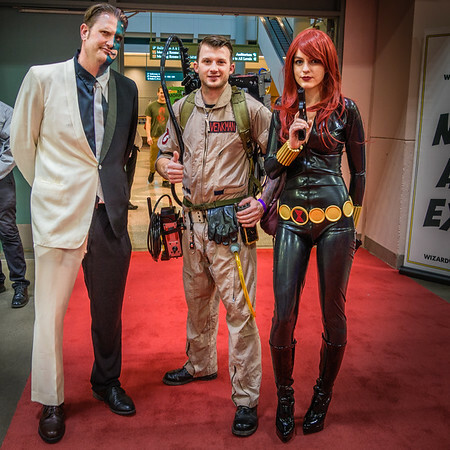 Here we have Harvey Two-Face, Dr. Venkman and Black Widow. Awesome costumes were back again this year. I hope to take some of the characters and place them into other environments I’ve shot. Watch for that in the future as well. My alternate title would be Stingray, Jelly Fish and Sharks, Oh My! 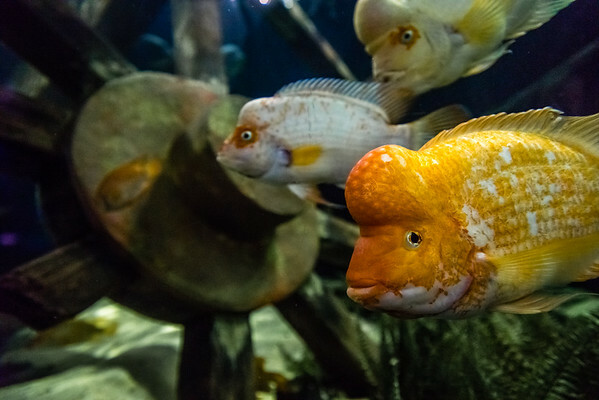 See the full SEA LIFE gallery. I enjoyed a return trip to SEA LIFE Aquarium in the Mall of America. As a photographer I often hope these places will be empty so I can get good shots without a mass of people. On a Friday it was pretty busy but not so much where I couldn’t maneuver. 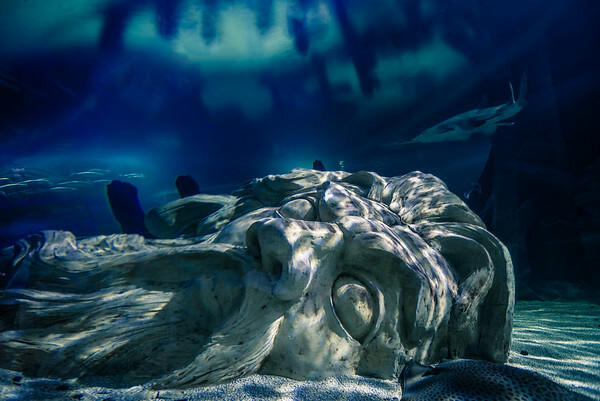 Poseidon just hanging out in the deep end. 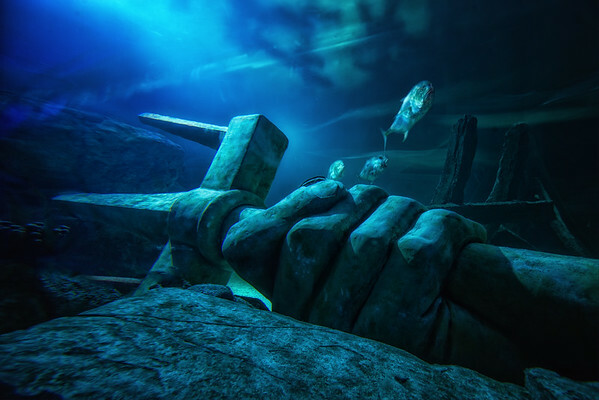 The underwater statues are really cool to see. I wish they had a few more. They really should have a guy in a diving bell suit. The sharks, fish and even a sea turtle can swim direcly overhead too. You can see more photos in my previous gallery here Sea Life Aquarium. 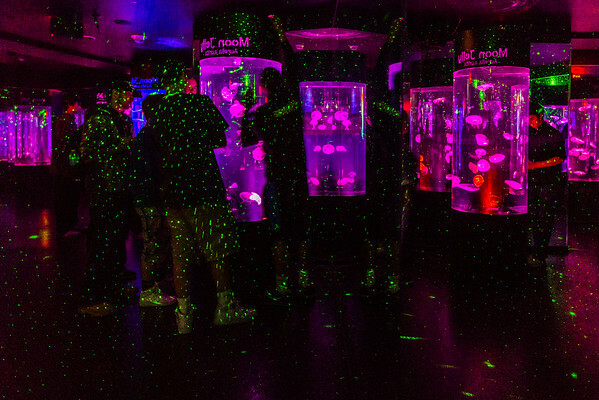 The Moon Jelly room is one of the coolest areas. The lights cycle through different colors illuminating the jelly fish in the tanks. This guy in front was really hamming it up for the camera. If you will be taking photos be sure to bring a fast lens and prepare to shoot at high ISO. It’s lower light than you realize and some of the fish and sharks move pretty fast. Also get your camera as close to the glass as possible to minimize reflections. Here’s the link to the official site if you’re interested in visiting. Lightroom 6 is out and one of the new features is the ability to merge photos to HDR within Lightroom. There’s a bit of controversy about this as many people consider the results to be pretty blah. Blah being the technical term for not the fuzzy, radioactive tone mapped tour de force that other programs employ (at least their presets). Let’s compare the differences between the middle (correct?) exposure and a few different HDR merge methods and then I’ll tell you how to best use the function in Lightroom 6. These were all merged with what I would consider conservative settings to get a natural HDR look much like what I believe Lightroom is doing. I then applied my common starting point preset in Lightroom for HDR photos. The preset I use is Highlights -100, Shadows +100, Whites +15, Blacks -15, Clarity +15 and Vibrance +15. Middle Exposure – I did need to bump up the exposure to match the output of the other methods. It was only about 1/3 of an EV bump. Not a bad starting point for a high dynamic range scene. Lightroom 6 HDR – Here we have what people are talking about. If you compare this to the middle exposure above there’s really not much difference. Photoshop HDR – Next is Photoshop. I suspect Photoshop and Lightroom are processing the same way and could give you the exact same results. Photoshop has more adjustments which I believe is why it looks a bit different from the Lightroom output. Photoshop has less contrast here and also notice the difference between the sun to that of Lightroom. Photomatix – Contrast Optimizer (Vibrant) – It really flattens out the image and notice the exposure on the broken down dock shows more detail. It does have flaring issues shooting into the sun though. Photomatix 32-bit HDR – This has been my go to method for awhile. Instead of tone mapping in Photomatix I reimport the 32-bit file to Lightroom and then adjust from there. In this case you see the dock has pretty good shadow detail but it doesn’t suffer from the splotchy sky of the Photomatix Contrast Optimizer version. Conclusion: I have a more natural style of HDR and I try to avoid the artifacts in the over the top HDR you often see. For me the Photomatix 32-bit HDR is still the best option. It has good shadow detail without introducing a lot of splotchy banding, halos or reverse halos (black smudges). The Lightroom 6 HDR output didn’t seem to be much better than the middle exposure which is probably why people are underwhelmed. 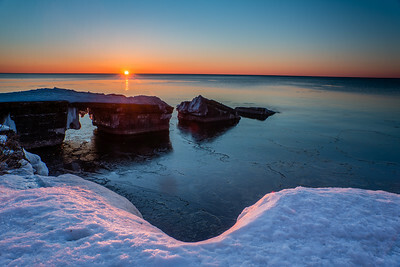 How to use Lightroom 6 HDR (and Photomatix 32-bit HDR): These two methods, and maybe the Photoshop method depending on settings, are really a starting point for expanding the dynamic range. After that you can add more Clarity in Lightroom or export to programs like Topaz Clarity, Color Efex Pro or back to tone map in Photomatix. Hopefully Adobe will add more options to the Lightroom HDR function so we can tweak to our preferences. Final Tip: If you’re not happy with how Lightroom adjusts the sliders after creating the HDR just turn off Auto Tone when creating the HDR. It will leave the sliders at the default position. I think I’m hooked on chasing the Northern Lights now. Getting out of the urban sprawl and bright lights of Minneapolis/St. Paul is a good idea when trying to get a good shot. On a weeknight and with work the next day you can’t always drive an hour or two though. I decided to try to get some shots from the outer ring suburbs and Stillwater which is only 20 minutes from St. Paul. The Northern Lights in the suburbs. Seen above is the Northern Lights just 2 miles from my house. This is in Lake Elmo which is a short 20 minutes to St. Paul. There’s quite a bit of urban sprawl in the Twin Cities and therefore a lot of light pollution. This site has a bit of a gap in the lights looking north. This location was a lot more difficult. Stillwater, MN is further away from Minneapolis/St. Paul but as you can see has many lights from the city. In order to deal with the city lights and try to gather enough light to get the Northern Lights I had to employ a little on the fly thinking. As luck would have it I placed a small black cloth in the car for cleaning my car’s nav system earlier in the day. I went and grabbed the cloth and then it was mostly trial and error. I was using 8 second exposures and I held the cloth over the bottom to cover the city lights. I would count the number of seconds and right around .5 to 1 second remaining I’d remove the cloth. There was a clear break at the horizon so this worked nicely. You could try to bracket exposures and composite later but you might still have flaring issues and probably a loss of contrast. 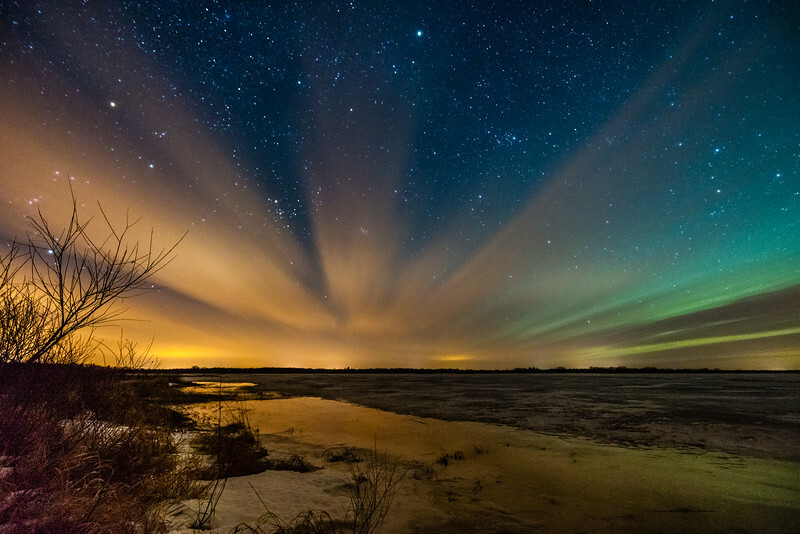 Check out more images in the Northern Lights gallery. We had a pretty awesome storm about a week ago. One of those thunderstorms with tons of lightning but not a damaging wind storm. There was a brief period of very small hail though which had me panicked a bit since I bought a new car in the last few months. Anything for the shot though right (as long as the car is fine). 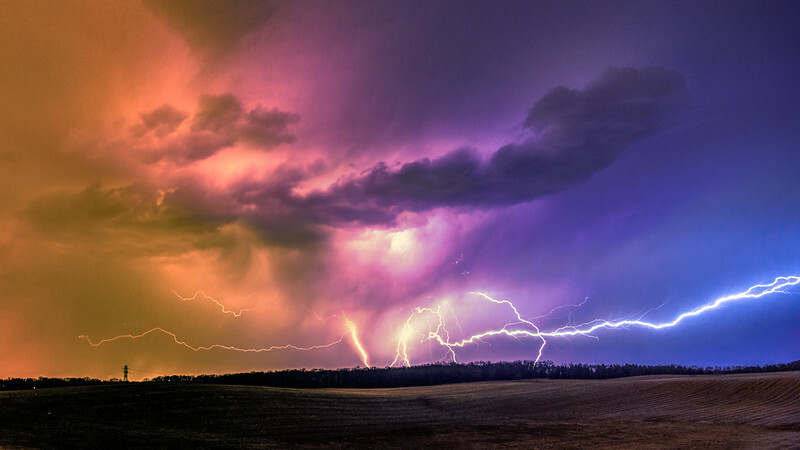 The lightning was dancing all across the sky. First I’ll just remind you that lightning is always dangerous. Most of the lightning was actually a long ways in the distance. There wasn’t any thunder till the last few shots but that isn’t a guarantee the next strike won’t be at your location. I was actually using a window mount in my car. You should read the National Lightning Safety Institutes comments on what is/isn’t safe related to vehicles being struck by lightning. As mentioned I was using a window mount. If doing so you may want to turn the engine off to minimize vibrations to the camera. I was also using a Lightning Bug Trigger trigger by MK Controls. 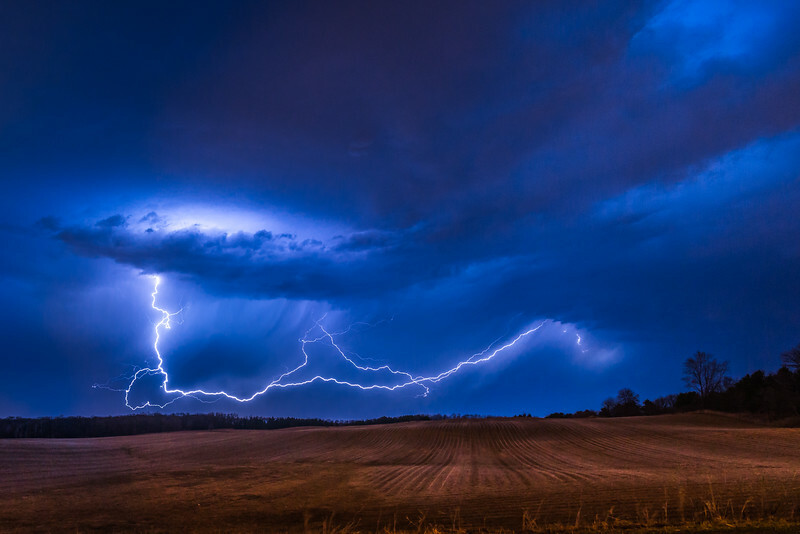 This senses infrared light an instant before the lightning strike and triggers the camera. Worked pretty well after increasing the sensitivity. I’d also suggest using manual mode on your camera. Underexposing by two stops (-2EV) seemed to work really well. 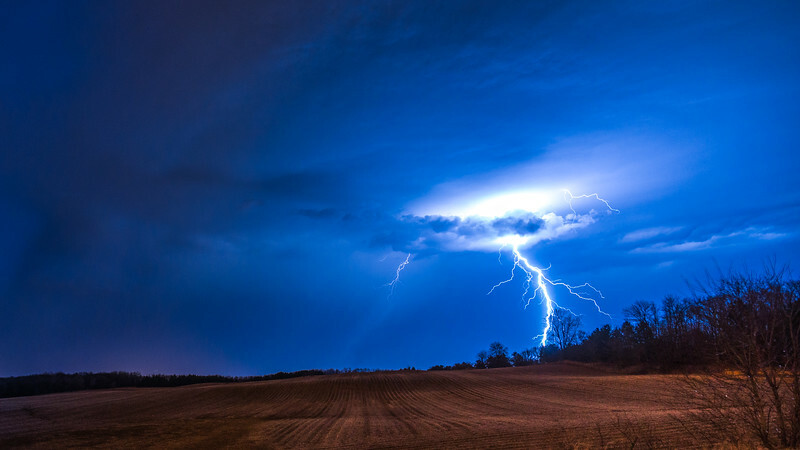 Most of the lightning wasn’t blown out and with the flash from the bolt it exposed the foreground. You’ll need to adjust for time of day and ambient light at your location however. An epic battle in the sky. This last photo is a composite of three different strikes. I used Topaz ReStyle and Lightroom to make this hot/cold edit. A little different flare to it anyway. Again be careful out there and check out the gallery for a few more shots. Went out to catch some blue lit buildings on World Autism Awareness Day. The Majorie McNeely Conservatory at the Como Zoo in St. Paul was lit as well as some buildings in downtown Minneapolis. See the full gallery here. 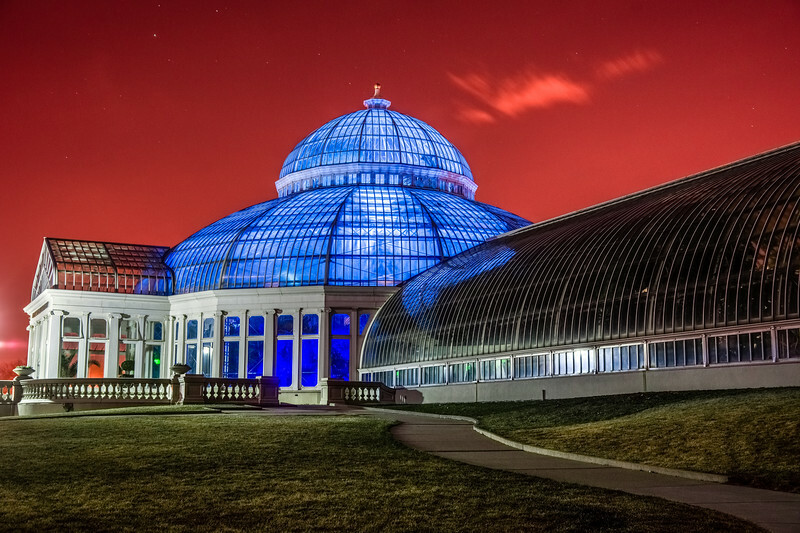 The Dome of the Conservatory Lit in Blue for Autism Awareness. If you’d like to know more about autism and this cause you can visit Autism Speaks for more information. 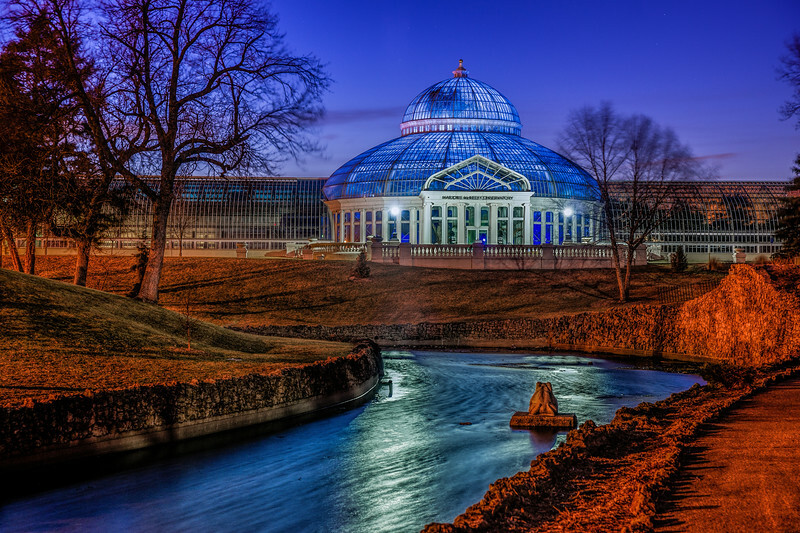 A closer shot of the blue dome of the Conservatory. Minneapolis was in on the act too with the Capella Tower and the IDS Center lit in blue. The Capella Tower rarely changes colors so it was cool to see the blue crown. The Capella Tower with the blue crown from across the Mississippi River. Go here to see the rest of the gallery Light It Up Blue Twin Cities. Went searching for the Aurora Borealis aka Northern Lights in central Minnesota. Fittingly this event occurred on St. Patrick’s Day on March 17, 2015. A bit of the green glow in the sky and even a green horseshoe…well sort of. 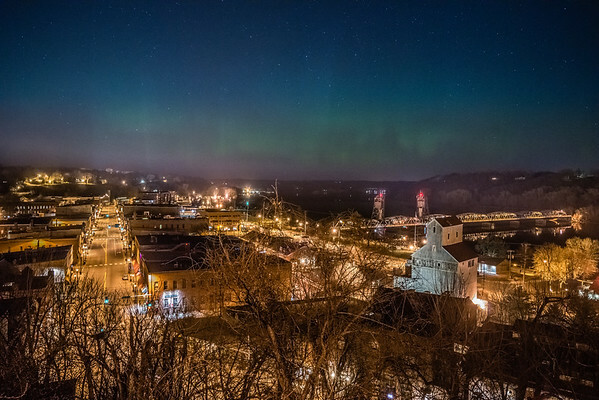 See the St. Patrick’s Day Northern Lights Gallery. 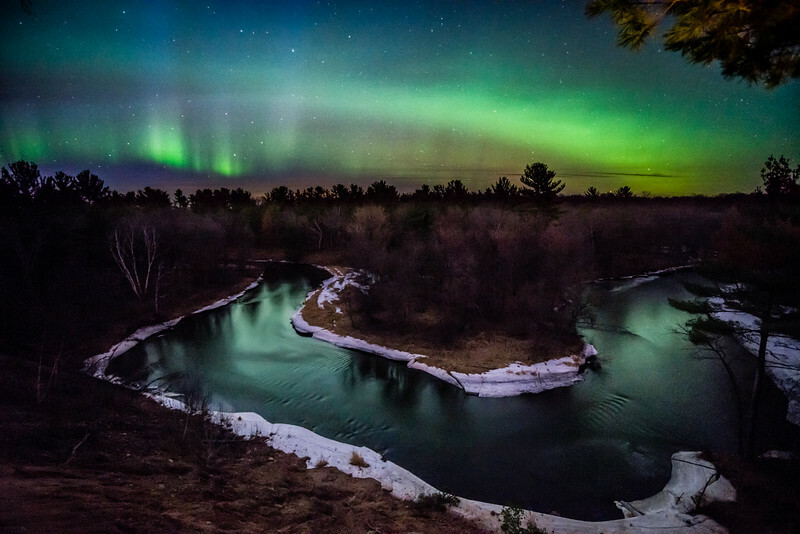 The green horseshoe on the Sunrise River in central Minnesota. The kp index is an indicator of the strength of a geomagnetic storm and it was hovering in the 8-9 range all day and into the hours after sun down. That’s a strong storm and in central Minnesota you need at least a 4 to pick up the aurora. I think 7 or more is ideal but even later in the evening when it dropped to 5 or 6 I was able to get some good shots courtesy of the camera. You can read more about this storm at Space.com. 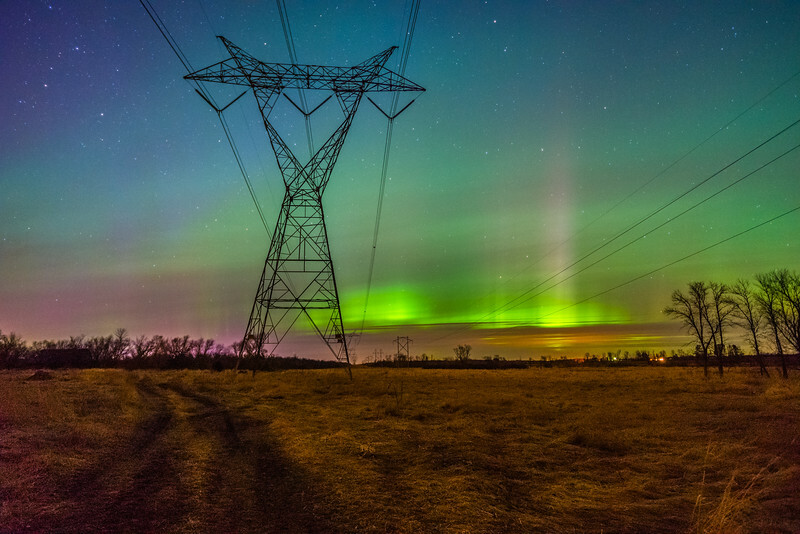 The power grid can be disrupted by strong geomagnetic storms. When photographing the Northern Lights I approached it similar to shooting the Milky Way. Using long exposures at high iso. That way you can collect the faint parts of the aurora and since you’re likely in a dark area you can even get some foreground. 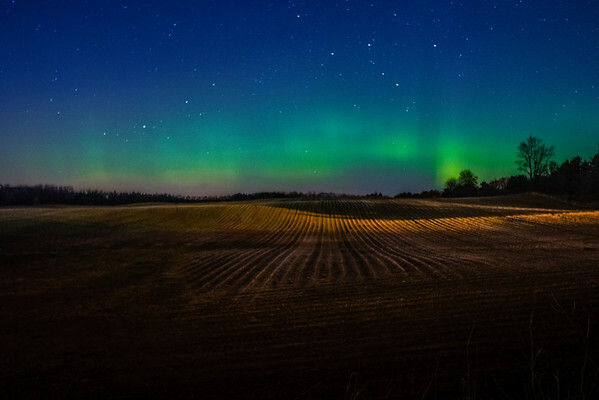 If the aurora is really bright in your area it may be hard to get both the sky and ground exposed without light painting or bracketing exposures. These were all shot wide open with either a 2.8 or 4.5 aperture. Ideally a 2.8 or faster would be best. ISO was shot between 1600 & 6400m. Most of the one’s I used were ISO 3200 or 6400 so it’s important to have good low light performance from your camera and good noise reduction software. Exposures were between 10 seconds and 30 seconds. The 10 to 15 second exposures were good for catching pillars of light dancing while longer exposures caught more color with less definition. You’ll need to adjust for the intensity of the display and your ambient light conditions if you venture out to catch them. Here’s a site I like to get the latest aurora forecast from. It also has a concise primer on what you need to see the aurora and links to other sources. That’s one of many resources out there. Good luck! 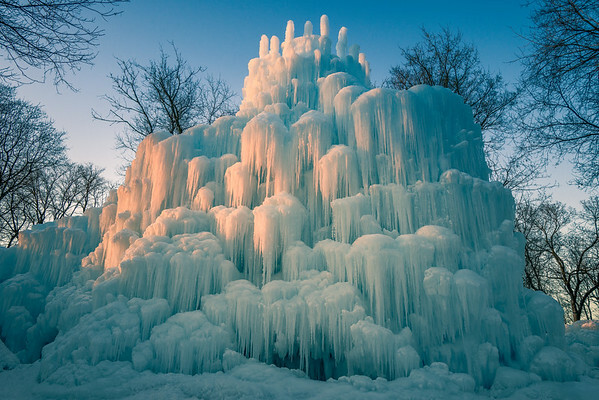 The 2015 Ice Castles gallery. Ice Castles in the late day sun. Two years ago I went to Ice Castles at the Mall of America. It was a cool display and I was fortunate to have an unbelievable sky and even have one of my photos published from there. This time the venue was a more natural setting at a park in Eden Prairie, MN. Miller Park to be exact. Had some great late day sunshine this time although I would have preferred a few clouds too. As night approaches the castles light up. 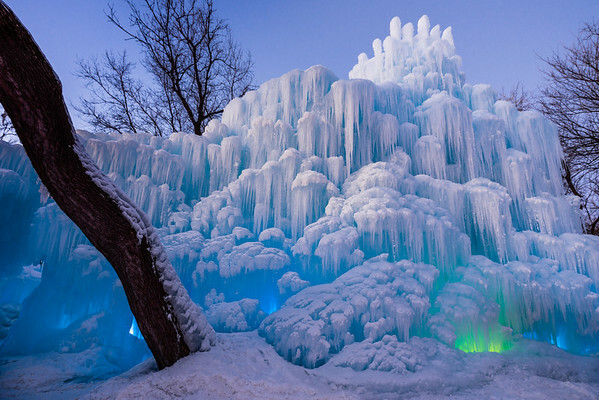 The ice castles really do look cool. This time they had a few slides for the kids, a waterfall, a maze and even heaters to warm up next to. It wasn’t too busy on a Thursday evening. I’m sure weekends are packed full but I believe they limit how many can view at one time. The best part really is at night when they light up. There’s some music and a bit of choreography with the lights. 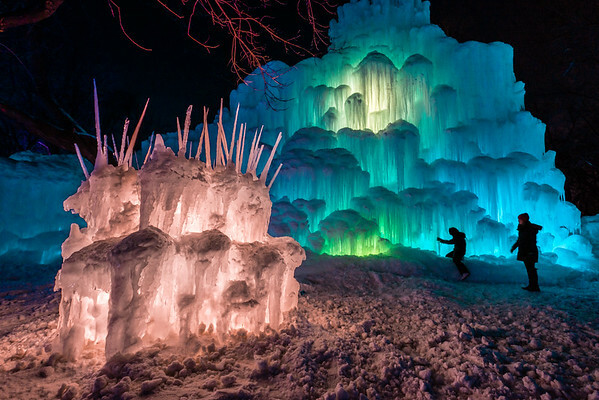 Check out the Ice Castles 2015 gallery. Minneapolis is literally bursting at the seems with construction. Look at all the cranes in this shot. Most of them are for the new stadium that will be the home of the Vikings. You can see the skin is starting to be placed on it. It still has at least another year of construction. The Viking Ship (Stadium) and Minneapolis skyline take shape. 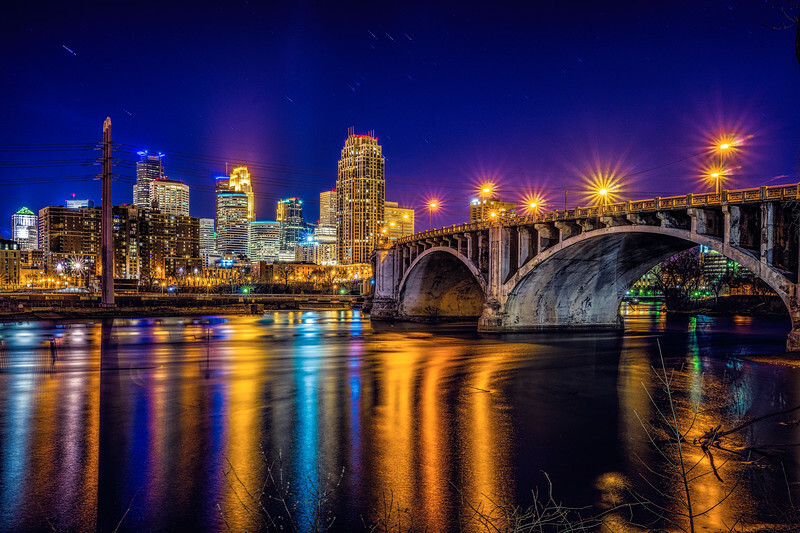 Check out the Minneapolis Winter Gallery here for more skyline pics.